The following remarks were delivered at the Pentagon’s first-ever event to commemorate the Sikh faith on April 25, 2014. 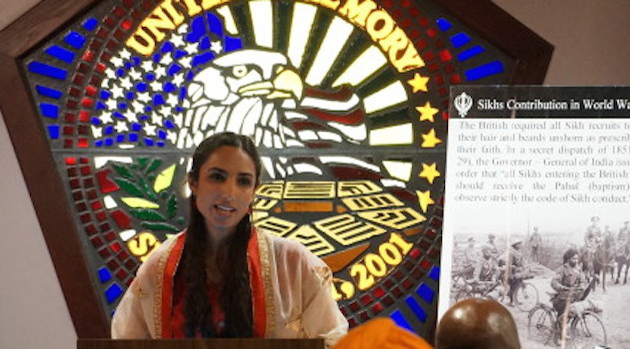 Hosted by the Pentagon Chaplain, the program was organized by Major Kalsi, Captain Rattan, Corporal Lamba, and the Sikh Coalition, an organization leading the campaign for turbaned Sikhs and other people of faith to be allowed to serve in the U.S. military. Waheguru Ji Ka Kalsa, Waheguru Ji Ki Fateh. Today we have heard the sacred music, poetry, and stories of the Sikh faith, concluding with decorated American hero Major Kamaljit Singh Kalsi’s recitation of Ardas, the foundational Sikh prayer recited in all of our worship. Ardas resounds at every wedding and holiday, upon the naming of a child and the death of a loved one, and on every Sunday morning at gurdwaras (Sikh houses of worship) across the nation and around the world. To read the full text of the prayer of Ardas, click here for a translation by the Surat Initiative.